Attention Pet Lovers & Pet Professionals! ​Are you looking for a great way to earn some additional money? ​Start your own Life's Abundance Pet Food Home-Based Business Today! You can make a difference in the lives of pets AND make a full time or part time income. People have to feed their dogs and cats every single day, and you have an opportunity to recommend holistic, safe dog and cat food, treats and supplements that pet owners need and want. 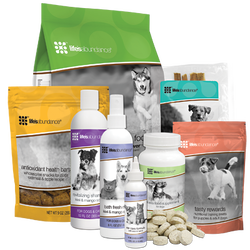 Life's Abundance is formulated by a holistic veterinarian, never been recalled, and is shipped directly to customers generally within 6 weeks of being made. Life’s Abundance has been in business nearly 15 years and NEVER been involved in a recall. 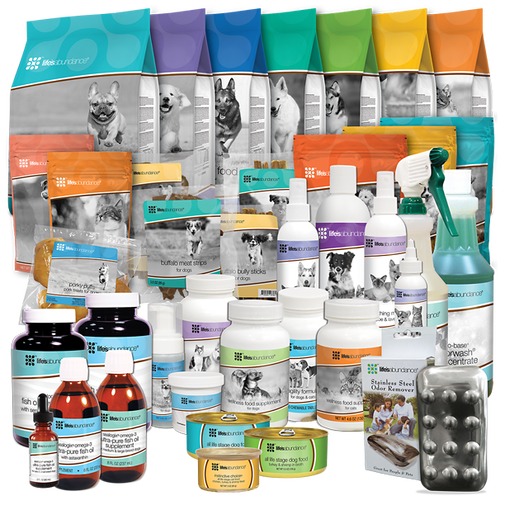 ​By joining Life's Abundance in recommending holistic dog & cat food, treats, supplements, and care products, you can earn a check back for every referral - month after month, year after year. 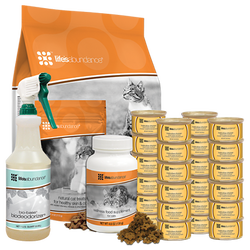 Simply tell your pet parents about our high-quality holistic products that are delivered fresh to their door. The average pet food autoship lasts for years which creates a strong residual income for you. Why Join Our Life's Abundance Team? Many people don't know what's actually in their pet's food. They choose a brand from the shelf and trust that the manufacturer has their pet's best interest in mind. However, when pet owners learn how to unravel an ingredient label and discover what's really in their pet's food, they are highly motivated to make a change for the better. Today we are also seeing an increase in dog and cat food recalls and consumers don't know where to turn. When they find out that Life's Abundance has never been on a recall list and it is shipped direct to them within 6 weeks of being made they ask you where can they order. How do I Join Life's Abundance and Become A Rep? Fill out your information and choose your Life's Abundance website name....For Example we decided on FlourishingPetsso our Life's Abundance website looks like this - http://www.LifesAbundance.com/WestbrookDog - Your website will be "live" in just a few minutes and your customers can start placing their orders. Please note that starting in the 2nd month your website is just $10.95. (Choose our Exec Rep Package and receive 2 additional months FREE) Your Life's Abundance website is coded to you! Your customers place their orders, you receive a copy via email and the company ships the order to your customer! After you join you will have access to our team training website and online group for questions. 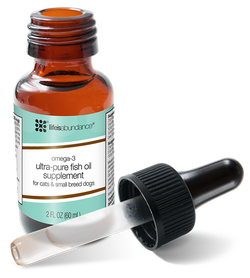 Additionally, the company holds a call every Tuesday and our product formulator Dr Jane Bicks hosts a Q&A monthly. Please feel free to contact us with any questions - we work our Life's Abundance business full time and are here to help you! If you are a pet professional, Life's Abundance is a natural extension of your business and can help you earn additional income from your existing customer base. You can help pets and make a full- time or part-time income with little extra work. Are you helping your clients feed safe and health pet foods? They trust you with their pets; help them make better choices. Let your legacy of helping pets continue long after you retire. Join our team of pet professionals today. Join Our Life's Abundance Team Today! We are happy to offer you our personal assistance in helping you get started and build your business. We are proud to partner with the pet lovers who have already joined with Life's Abundance in providing an array of superior, safe, and effective products that are inspired by nature, informed by science and born of a commitment to improving the health of dogs. Use the form to the right to request a free sample pack!